Share This on Twitter! I want to help promote the Philippines! You can, too! Flaunt your hometown or your discoveries. The more they don't know about it, the better! 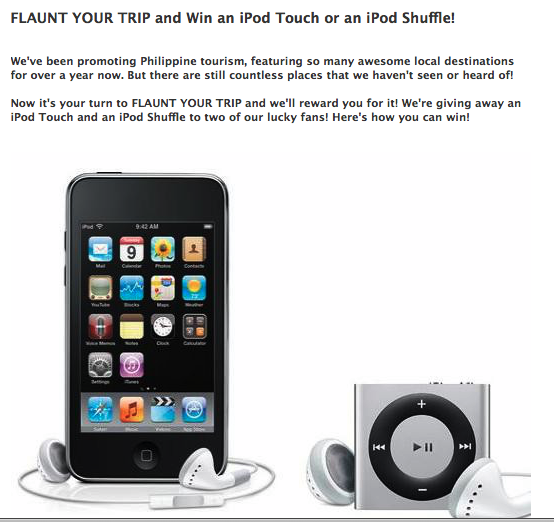 They're going to reward you with an Ipod Touch or an Ipod Shuffle. 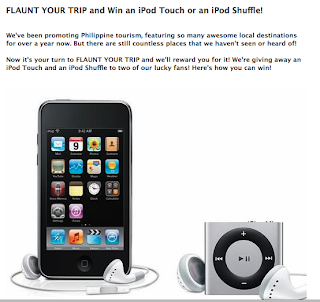 The promo will run until January 5, 2011!